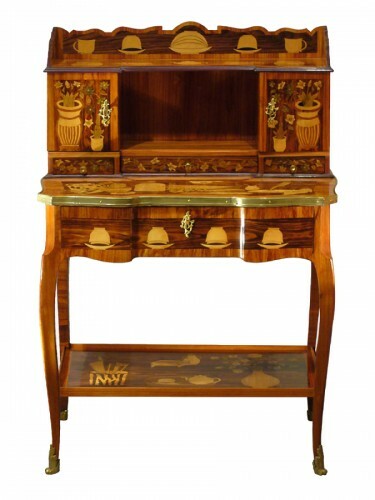 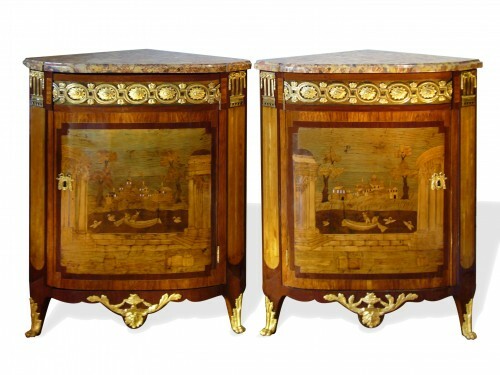 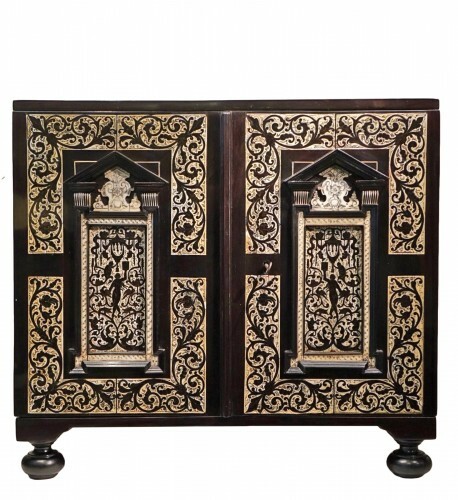 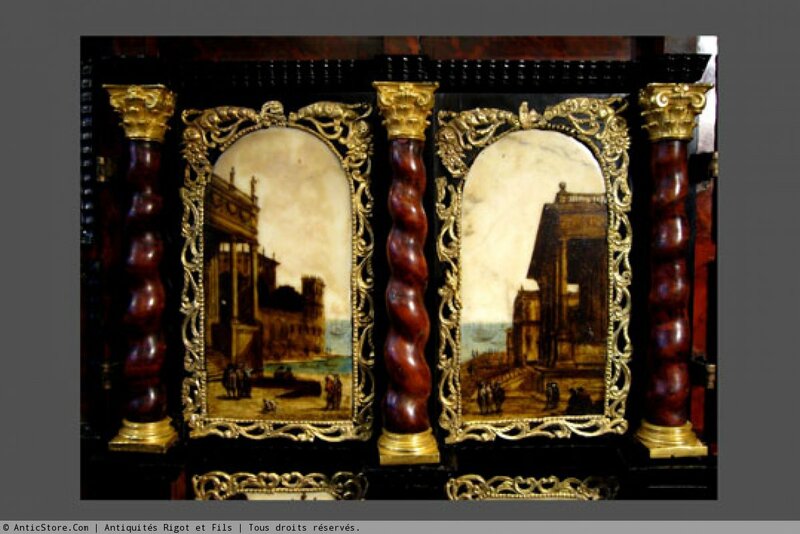 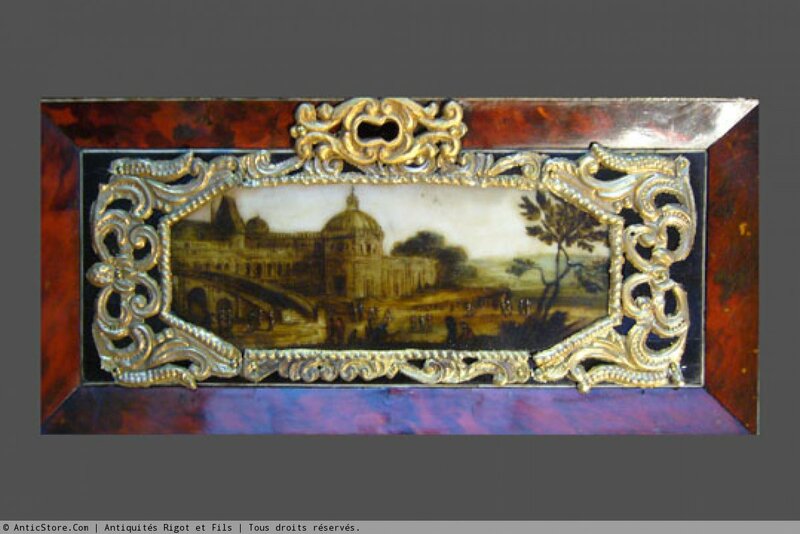 Exceptional red tortoiseshell veneer, ebony guilloche and blackened wood, ornated with paintings of sixteen landscapes and palaces painted on marble in soft embossed brass frames. 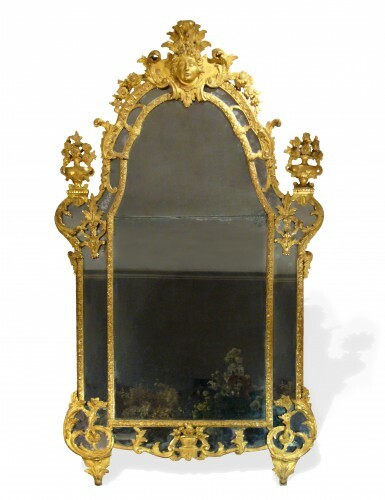 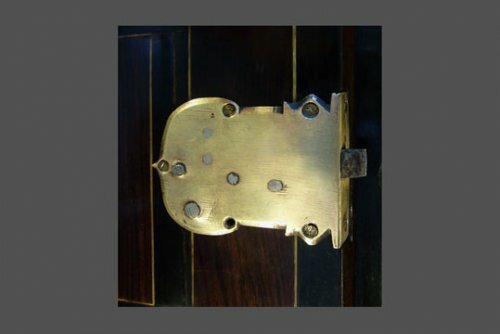 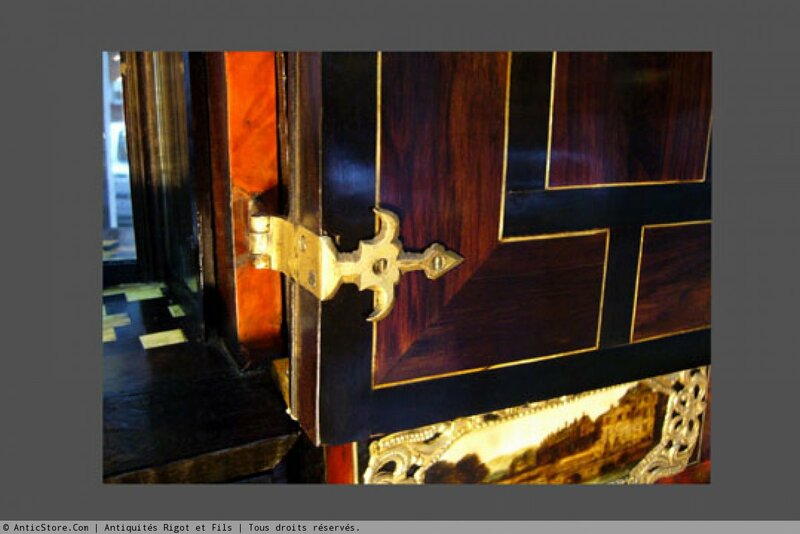 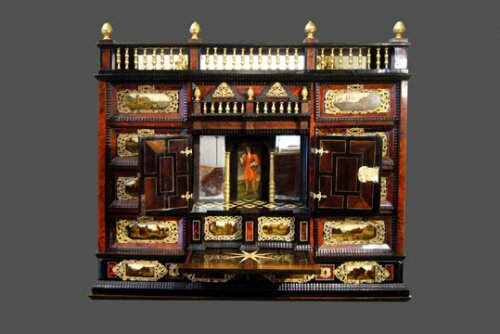 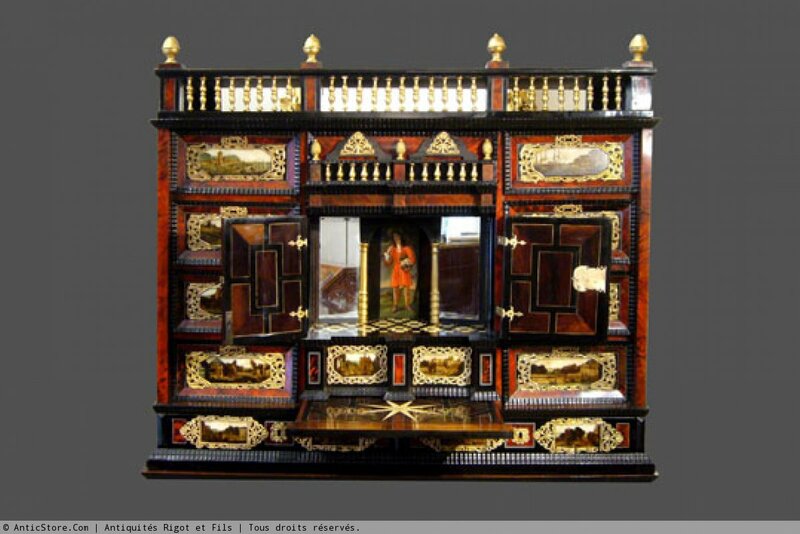 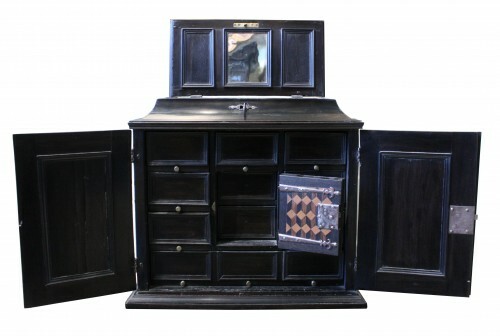 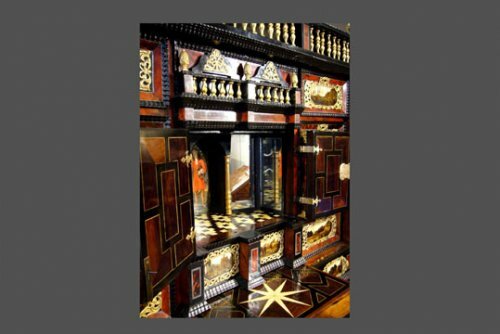 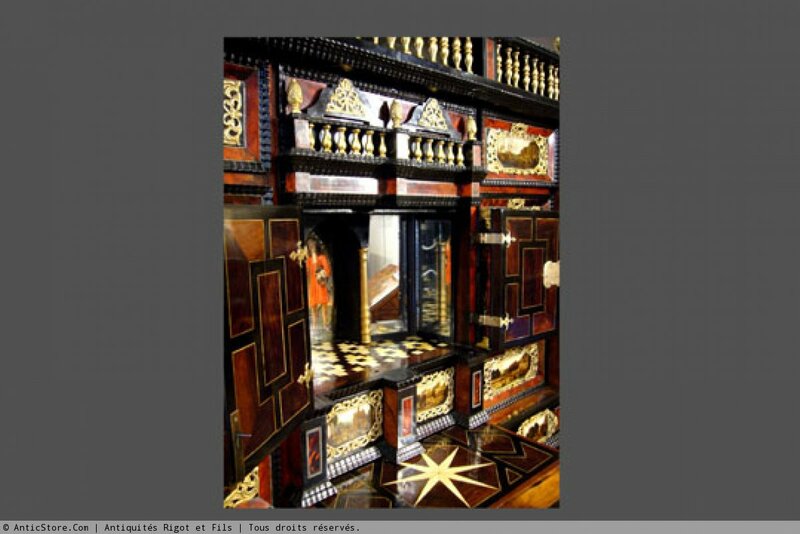 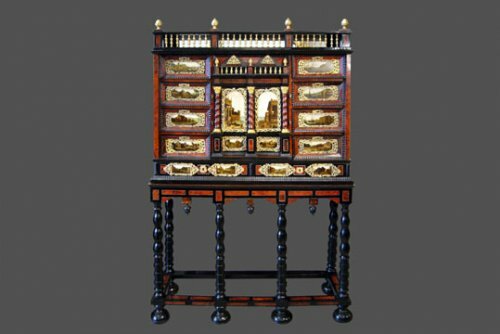 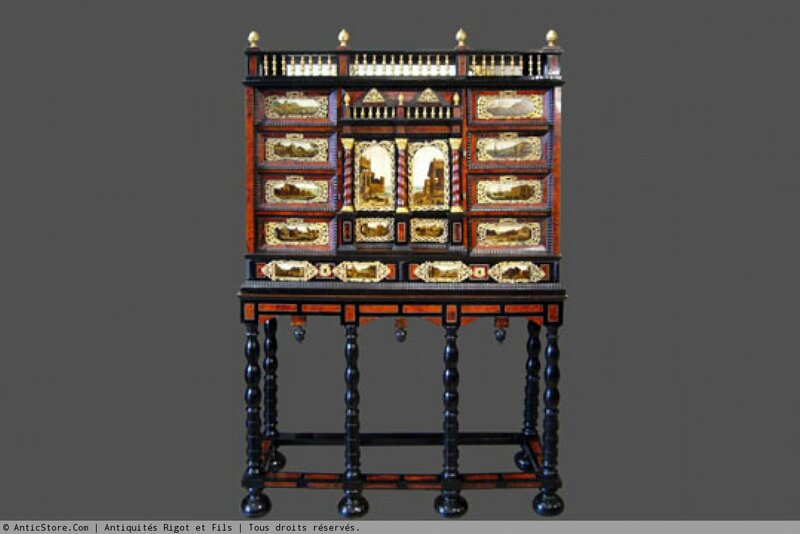 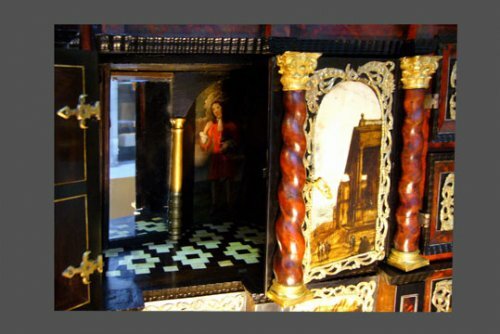 It opens with eleven drawers and two doors revealing a small theater of mirrors with geometric floor in rosewood and bone on either side of a standing figure painting. 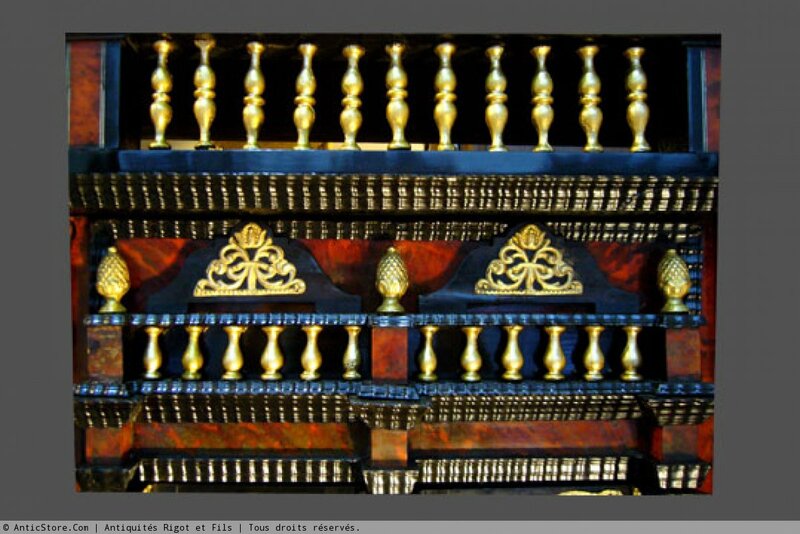 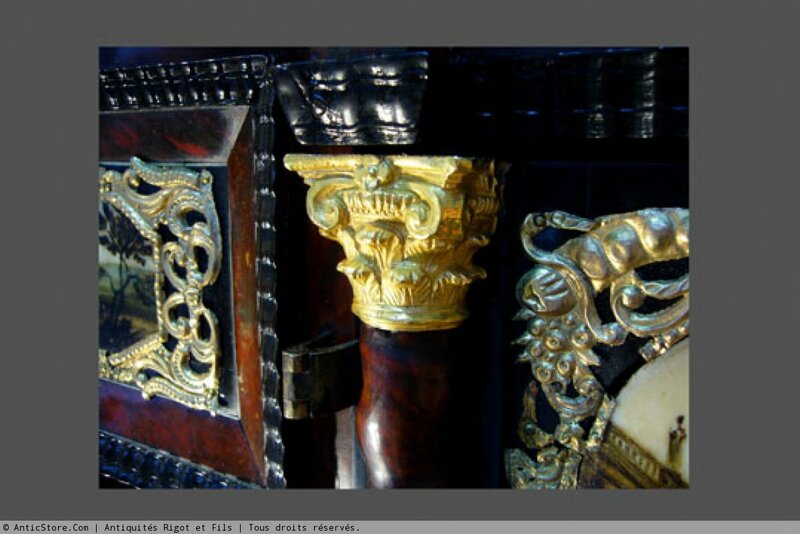 It is based on his original entablature, eight turned legs. 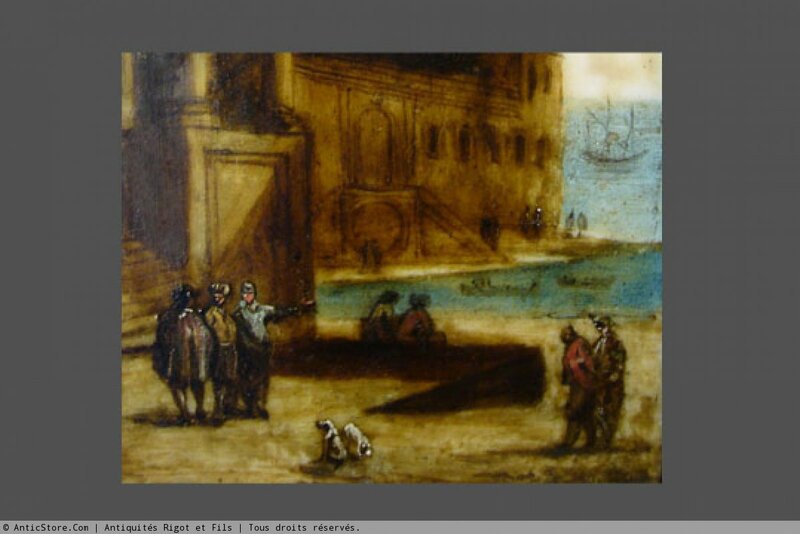 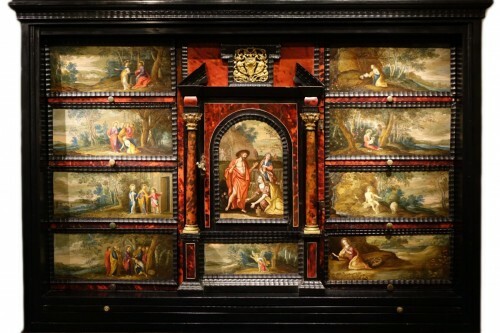 Work of the 17th century period, Antwerp.